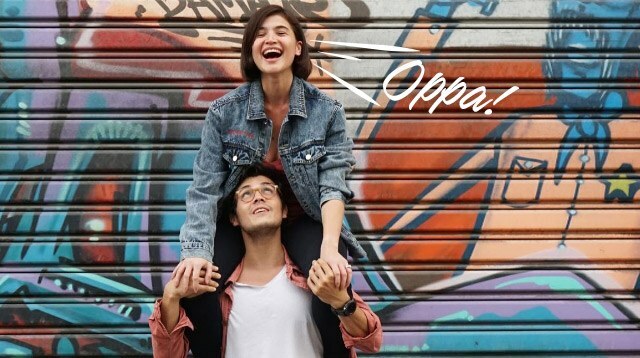 In their seven years as a couple, Erwan Heussaff and Anne Curtis have gone through so much—career milestones, trips around the world, and life's ups and downs. But nothing can compare to having to deal with your girl becoming *obsessed* with K-dramas. Anne's been bitten by the hallyu bug and is currently all over Weightlifting Fairy Kim Bok Joo (although her heart remains with Gong Yoo from Goblin). And on their recent jaunt to Paris for a friend's wedding, Erwan, the ever loyal and supportive fiancé that he is, caught Anne fully focused on her show during their long-haul flight. "She used to look at me the way she looks at K-drama," he wrote on his IG Story.